We started off the morning in the Cleveland, OH suburbs on a quest to find the Christmas Story house. We were successful. While there, we visited the Christmas Story Museum across the street and had fun seeing everything. 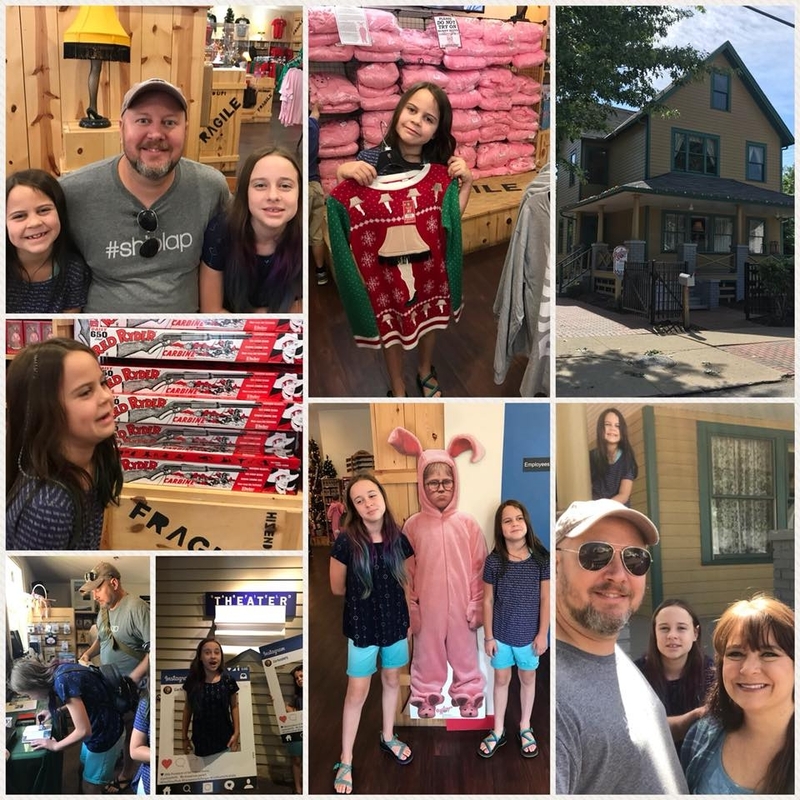 After leaving the Christmas Story house, we started our adventure to Niagara Falls. Along the way, we were able to stop at the birthplace of US President James Garfield, a National Parks Historic Site. Got that stamp! After that, we ran into some traffic problems on the Interstate going through Northwest Pennsylvania. This forced us to take a detour and resulted in one of the most scenic and peaceful drives of the whole trip. Beautiful country up there. The current view from our hotel room in Canada at Niagara Falls. We just did the Maid of the Mist boat tour into the Falls & it was so breathtaking!